The Diocese of Miao was happy to have 10 Jesus Youth from Don Bosco College, Maram from 17th to 27th December, helping the Priests in the Mission Stations during Christmas. A team of 10 Jesus Youth sacrificed their Christmas holidays to help us during Christmas. The ten youth were divided into five groups and were sent two each to Ngissa, Pongchao, Kanubari, Diyun and Kristu Jyothi Seminary, Miao. They helped the Fathers in the mission in preparing for the Christmas. 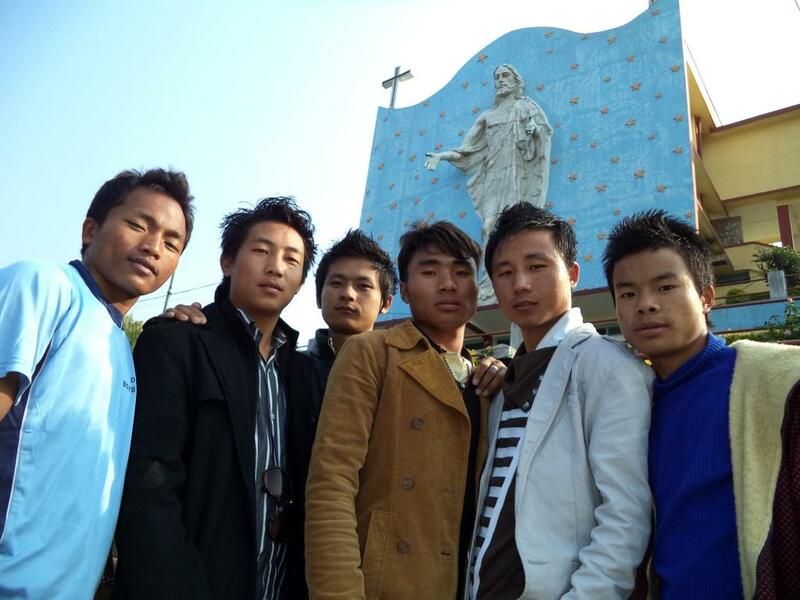 “The Jesus Youth were of big help to the Parish and Seminary during Christmas. They helped us with music during the vigil mass and in the Pre-Christmas gathering we had. It will be great if they can help us also during Easter”, said Fr. C C Jose, the Rector of the Seminary. Bro. Samuel, the leader of the group said, “It was a unique experience for all of us. We too learned a lot during our stay in Miao Diocese. The Diocese of Miao is sincerely grateful to Samuel, Pfokreni, Peter, Sylvia, Tombin, Languiliu, George, Benjamin, Sakunii and Alex and also to Rev. Fr. K. O. Sebastian, the Principal of Don Bosco College, Maram, for sending these Youth to our Diocese.